We'd love little more than to see a British SUV version of the Ford F-150 Raptor. Evo founder Harry Metcalfe was lucky enough to get behind the wheel of the Land Rover Defender SVX, a highly limited concept car from Jaguar Land Rover’s Special Vehicle Operations unit that’s somehow more extreme than the standard Defender. Now, according to the information that Auto Express managed to extract from SVO boss John Edwards, the SVX name could see its revival for a new and more extreme version of the Land Rover Discovery. If it sees the light of day, the Discovery SXV could be built somewhere between the models that would be used for the Paris Dakar rally and Camel Trophy challenge. “I can’t tell you what the SV version of the Discovery will be like but in my mind it will be in between Paris Dakar and Camel Trophy. Somewhere in there is a product waiting to get out,” said Edwards. 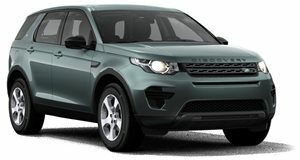 Auto Express takes this to mean that SVO will cover the Discovery in body cladding, massive off-roading tires and even a reworked chassis for added capability. In other words, expect a Land Rover that comes from the factory ready to stick it to the best Rubicon-spec’d Jeeps available. Power would likely still come from the 3.0-liter turbocharged diesel engine. That unit makes 254 horsepower and 440 lb-ft of torque, but we wouldn't be surprised to see SVO tune it for additional thrust prior to its release. The interior of the current Discovery is optimized for the upscale active suburban family on the go, but the Discovery SXV would likely see its seats replaced with more supportive units to bolster drivers and passengers when driving at steep angles. All of this talk came without concrete details regarding the car’s release, but Edwards did mention a word about the release interval of JRL’s halo models, which the Discovery SVX certainly classifies as. “We plan to introduce a new halo product every year for the next three or four years,” he said, possibly hinting at a 2017-2018 reveal. On the Jaguar side of things, Edwards was sure not to end the interview without tossing a bone, claiming that the F-Pace could one day see similar modifications. “For Jaguar, the F-Pace is the only product that could work in the capability quadrant, but it could equally work anywhere [as an SVR or SVAutobiography] - I’ll say no more,” he said. The only problem with the entire proposition is that we previously heard Edwards make the same comments about the Land Rover SXV in 2015. Hopefully this time his words are more than just hot air.